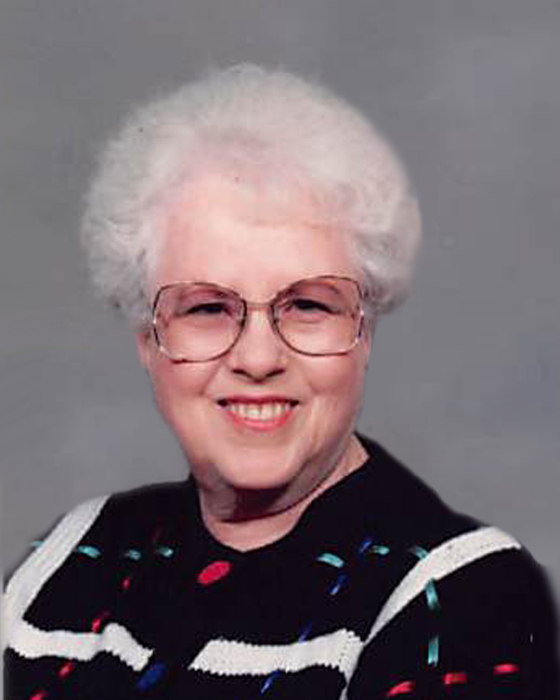 Dixie Lee (Patterson) Horton, age 82, of Hays, Kansas passed away Saturday, January 19, 2019 at the Good Samaritan Society, Hays. She was born February 5, 1936 in Anthony, Kansas to Almer Allen and Ida Effie (Franklin) Patterson. She earned a bachelor’s degree in Elementary Education from Fort Hays State University. On September 9, 1956, she married Fenton “Jerry” Horton in Salina, Kansas. Dixie was a long time Executive Director for the Girl Scouts of Kansas with the Sunflower Girl Scout Council doing so for 26 years. Her memberships include; the First Presbyterian Church of Hays where she was active in various church committees including the Presbyterian Women, Big Creek Quilt Guild, Founding member of the Humane Society of the High Plains, Habitat for Humanity, Phi Kappa Phi and Alpha Lambda Delta Honor Societies. She is survived by her husband, Jerry of Hays; her children, Laura Kolb and husband Kelvin of Stockton, Kansas, Frank Horton and wife Karla of Nashville, Tennessee, Lisa Hendershott and husband Ronnie of hays, David Horton and wife Chris of Phoenix, Arizona, and Linda Street of Hays; grandchildren, Darla Horton of Nashville, Caitlyn Hendershott of Lawrence, Kansas, Amy Horton and Madison Horton both of Phoenix, Brian Street of Hays and Blair Street of Quinter, Kansas. She was preceded in death by her parents, three brothers, Raymond, Alvin and Ray Patterson and three sisters, Aileen Bond, Mary Byrd and Phyllis Murphy. Memorial services will be 11:00 AM on Saturday, January 26, 2019 at The First Presbyterian Church in Hays with memorial visitation at 10:00 AM until service time at the church. Arrangements in care of Brock's-Keithley Funeral Chapel and Crematory 2509 Vine Hays, KS 67601. Memorial contributions are suggested to the Girl Scouts, Habitat for Humanity or the Humane Society of the High Plains and may be sent in care of Brock's-Keithley Funeral Chapel and Crematory 2509 Vine Hays, KS 67601.